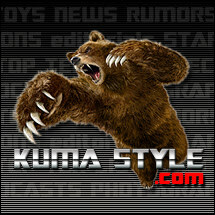 Toy Nippon: BBTS News: TMNT, Legend of Zelda, Marvel, Metal Gear Solid, DC, Bandai & More! 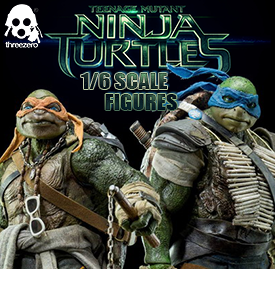 BBTS News: TMNT, Legend of Zelda, Marvel, Metal Gear Solid, DC, Bandai & More! Cowabunga, Dude! These highly detailed, movie-accurate figures by Threezero stand nearly 13 inches tall and feature realistic paint application with battle damage, over 25 points of articulation, facial expressions with detailed wrinkles and skin texture, and authentic likeness to the 2014 movie styling. Fleet Girls Collection: KanColle is Japan-only web-browser game in which the player assumes the role of an admiral and assembles a fleet of kanmusu or ship girls based on World War II naval vessels and then battles against fleets of unknown warships. The ship girls are depicted as cute girls that have physical characteristics, appearances and personalities that correlate to the real-life vessel in some way. These 1/8 Scale PVC Ani Statues of Inazuma and Ikazuchi are listed for $84.99 each and Fubuki is listed for $79.99. We also have Ryujo in Nendoroid form for $54.99; and in the new figFIX lineup we have Nagato Medium Damage version for $59.99. Any of these great figures will be fantastic additions to your Fleet Collection display! We have just listed a bunch of new exclusives that you don’t want to miss out on so browse this menu now! Gundam modelers will want to check out the 1/144 HGUC Stark Jegan, V2 Expansion, ZSSA, and Crossbone X3 Kai Exclusives with price ranging from $29.99-$49.99. Collectors of all things Sailor Moon will love this Prism Stationary Antique Style Clip Case! This pretty red and gold metal and glass case will hold your Sailor Moon paperclips and look great on your desk for $139.99 This list also includes Dozle Zabi and Rinko Iori Gundam Action figures and from Naruto, the Itachi 1/8 scale figure. This upgrade kit is for a certain evil transforming tank and includes a set of hands, a set of feet, a shoulder cannon, and an arm cannon muzzle. The figure will be 9.65 inches tall in robot mode after attaching the upgrades. We just listed preorders for 11 new items from Megahouse like Sailor Moon World Uniform Operation Rei Hino for $69.99, Dimension of Dragonball Super Saiyan Broly for $109.99, Excellent Model Sabo for $119.99, and Sasuke Uchiha G.E.M. for $99.99. The men’s outfit includes a baseball cap, tank top, cargo shorts and a belt and comes in Tan, Green or Black and the women’s outfit includes a shirt, shorts and a belt and comes in Multi-Cam or Sand. The first release in a line of figures based on a futuristic Lumberjack World is Milky Bot. This old industrial Dairy Bot is just over 13 inches tall and features over 30 points of articulation, including articulated fingers! Milky Bot is packed with a gun, jars, a milk tank and a display stand. Dai-Guard is a giant robot that belongs to Defense Security Corporations Public Relations Division 2 and is used to fight interdimensional aliens. This nearly 7 inch tall Dai-Guard figure comes with 2 sets of optional hands, drill arm, finger net arm, and knot punisher. Enhance a certain triple-changer starship with these new highly articulated hands from Keith’s Fantasy Club. These hands come in Dark Grey and Special Edition White. Deadpool will look after your spare change with these finely sculpted head banks! Choose from the classic red and black version or the grey and black X-Force version. Shamrock is a male robot and second in the Robot Neoanthropinae Polynian line of poseable figures. He is approximately 5 inches tall and comes with a pair of extra hands and a base. FCTRY, the company behind the 2008 Obama action figure, started their Kickstarter campaign with one goal: to make a Hillary Clinton action figure and generate some excitement about her campaign and the prospect of America getting its first woman president. Blizzard has become a major entity in the video game industry by earning a reputation for games with detailed plots that are beloved by fans! Funko’s Blizzard Mystery Minis series spans classic titles from Diablo to Warcraft and Starcraft, and feature the incredible details of each character! Every figure has a 1 out of 12 rarity! We have the Case of 12 for $84.99 and the Random Single for $8.99. Kids Logic is proud to present the Saint Seiya Kids Nations series of figures that feature detailed sculpture, metallic paint application, and each figure comes with a base. The Series SS01 Box of 5 includes some of the most beloved characters: Pegasus Seiya, Dragon Shiryu, Cygnus Hyoga, Andromeda Shun, and Unicorn Jabu and is listed for $99.99. We also have the Pegasus Myth Cloth Box for $13.99. The Sorceress is a character from the game Dragon’s Crown. She is the only class of character that can create food, control skeletons, and turn foes into frogs. She is best used as a defensive support character during gameplay. This 14 inch tall figure includes her hat, staff, optional arm, 2 potion bottles and a base. 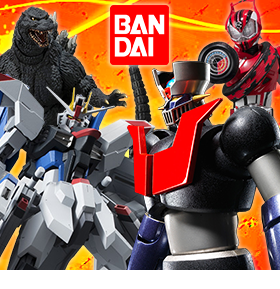 13 new items from Bandai Japan have hit our warehouse this week and we have them conveniently listed in one menu for you! Mecha King Ghidorah is spectacular in his S.H. 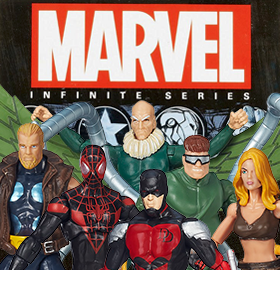 MonsterArts form for $189.99; Android 16 from Dragonball Z joins the lineup from S.H. Figuarts for $61.99; and round out your collection of Kamen Rider with the V3 Hurricane for $41.99, Masked Rider V3 for $27.99, and Shadow Moon for $38.99! 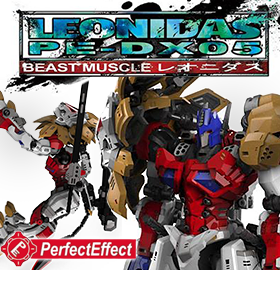 This menu features the SXS-R02 Overclocking and the Feral Rex R-05 Fortis for $104.99 each. Don’t forget about the Feral Rex R-07 Felisaber for $94.99 and the Eavi Metal Phase Four:A – Transistor for $139.99. Get up to speed on the new hit CW television series with this incredibly detailed action figure of The Flash, the Fastest Man Alive, in his scarlet uniform. It's an all-new Star Trek action figure line designed especially for collectors! Packaged in display-friendly Select packaging, the 7-inch scale Spock figure comes with a diorama-style accessory and interchangeable parts for a variety of display options. Commander Spock, first officer of the U.S.S. Enterprise, comes with a cave backdrop and the Horta alien from the classic episode "The Devil in the Dark." Famed cover artist Dave Johnson takes on The Dark Knight with this new statue in the best-selling line that brings his unique artistic style to life in 3D. This nearly 7” tall statue shows Batman in a flowing cape crouching to throw a deadly Batarang. This statue is unique because only one foot is on the Bat-Symbol base—the other foot rests on the shelf or desktop. From the Guardians of the Galaxy film, one of Marvel's biggest characters has been transformed into the popular Hikari format. Planet X Groot features an auburn and brown distressed color deco. Standing a colossal 11-inches tall, Groot is a limited edition of only 1,000 pieces that comes individually numbered and packaged in a window box for easy display! Colonial One is an Eversun starliner now used as the seat of government for the President of the Twelve Colonies of Kobol. Colonial One is the civilian counterpart to the military leadership aboard the battlstar Galactica. This all plastic assembly model kit of the Colonial One is fully detailed including the landing gear. Add the greatest ape of all to your classic Planet of the Apes collection with this incredibly detailed statue of the Lawgiver! Revered throughout ape society for his wisdom and teachings, the prophet's statue is a common sight in temples and public spaces. The Lawgiver statue measures almost 12" tall, and stands in perfect scale with NECA’s current Planet of the Apes action figures. Straight from the screen to your shelf, Gentle Giant Ltd. is proud to bring you the 18 inch tall, 1/4 scale Daryl Dixon Statue. This beautiful and intricate statue has been digitally sculpted and cold cast using only the highest quality polystone. From Daryl’s signature sleeveless tee to his deadly hunting crossbow, no detail has been overlooked. As an added bonus, the statue also includes a removable cloth poncho, giving you a choice of display options. A limited edition collectable, each hand-painted statue comes individually numbered and includes a matching certificate of authenticity. NECA's Jungle Hunter Predator (1989 Video Game Appearance) is a fully articulated 8-inch tall figure with extendable wrist blades, removable backpack, and over 20 points of articulation. The Predator is painted in shades of blue with black with a hint of cel shading and comes in special window box packaging with opening flap to re-create the look and feel of the classic 1989 video game packaging. From Nightmare on Elm Street Part 2: Freddy's Revenge, the man of your dreams is back a retro clothed action figure! He's dressed in fabric clothing and comes with two interchangeable heads, interchangeable gloved hand and bladed hand (unique to this Part 2 version of Freddy), and a removable hat. The turtle-loving, gambling, cigar smoking, burping, foul-mouthed, intoxicated, selfish and insensitive bending unit number 22, A.K.A. Bender, is now available in the cute and stylized Pop! vinyl lineup. Fans of Futurama will be delighted when they see Bender scowling and holding a beer bottle alongside the other figures in their Futurama collection. This aftermarket war axe accessory piece by Corbot V is the perfect weapon to recreate your favorite scenes from the recent video game and looks great in the hands of your favorite transforming leader of the good guys. Series 02 of this popular line of figures by Jakk’s Pacific brings Luigi, Toad, Samus, and Diddy Kong to Nintendo fans everywhere. We have them available in a set of 4 for $49.99 and we also have Luigi, Toad, and Samus available individually for $12.99 each. This extremely detailed military figure by Damtoy comes with so many accessories it is impossible to list them all here! He comes in a desert camo uniform with all the gear necessary to complete just about any mission thrown his way. With a realistic head sculpt and the Dam 2.0 action body, this Geronimo figure will look great in any military or 1/6 scale collection. Goliath is the first playable monster in the popular video game Evolve. The Goliath is an extremely strong and violent predator that now comes in the super-sized 6” Pop! format! Series 03 of this small scale line from Jakk’s Pacific brings Mario, Link, and Luigi to life in a 2.5” tall figure with limited articulation. These little figures will look great displayed next to your Nintendo console or with the rest of your collection. Create dynamic poses and action scenes with these new effect parts from Bandai Japan. Each of these Explosion Effect sets come with 3 variations of the explosion that can be used alone or together and positioned with the Tamashii stage and pole (not included). We have Gray (like smoke) and Red (like fire) sets available. Summanus brings some needed power to his team. He changes from robot mode to a fierce Stegosaurus, and is named after the Roman god of nighttime lightning as his mighty stomps are sure to emulate. They say fairy tales can come true, and now they have, with Minimates mini-figures of your favorite Grimm Fairy Tales characters! Celebrating 100 issues of the comic series by Zenescope Entertainment, this four-pack of Minimates features four fan-favorite characters: Belinda, Nissa, Sela Mathers and Red Riding Hood. Each 2-inch Minimate features a variety of interchangeable parts and accessories and comes packed in a full-color blister card. Warp into the 25th century with the first-ever Minimates box set based on the classic Buck Rogers TV show! This box set includes four 2-inch Minimates mini-figures of Captain Buck Rogers, Colonel Wilma Deering, Princess Ardala and Tigerman, each featuring a variety of interchangeable parts and accessories. Plus, you get a bonus 1" micro-figure of TWIKI! Re-create Season 1 of the sci-fi classic in the palm of your hand! This new robot changes into a powerful tank as well as becoming a head that can attach to a certain gigantic transforming fortress. He comes with a display stand and his giant cannon can also be used by the gigantic transforming fortress. These 12 inch tall fully articulated skeletons are finished in very realistic detail and come with the skull/head, body, 3 sets of interchangeable hands, and one set of feet. They look very similar to skeletons seen in museums or doctor’s offices and can be posed alone or with other 1/6 scale figures in an apocalyptic or crime scene diorama. We have Standard Color and Old Color (weathered look) available now.